This article, aimed at mortgage brokers and intermediaries, aims to give an overview of the market and discuss issues that may impact the specialist finance sector. As you’ll be aware, interest rates are now at their highest level since February 2009. Key to the change appears to be Brexit; the MPC stating that it “continues to recognise that the economic outlook could be influenced significantly by the response of households, businesses and financial markets to developments related to the process of EU withdrawal”. Most analysts are in agreement that the main argument for raising rates now is to give the Bank more scope to stimulate the economy when the next downturn hits. If interest rates are 1% or more at that time, the MPC have the lever of cutting them again. While many commentators in the media apparently expected the announcement, I think it’s fair to say this still surprised a few people. Swap rates haven’t changed over the last few months which suggests that lenders hadn’t anticipated the increase. The ‘chatter’ in the media suggesting they would rise seemed to have the effect on the economy of actually increasing them, which perhaps led many to think it wouldn’t happen. Additionally, it was a 6-3 vote in favour of holding the rate back in June, so a unanimous vote just one and a half months on is likely to have caught a few off guard. The question of the moment, then… is how will this impact brokers, intermediaries and the specialist finance markets? Many brokers felt the impact immediately, with clients on variable or base-rate tracker first charge mortgages calling to make sure they were on the most appropriate product. The next few weeks will no doubt be extremely busy as many may wish to move to fixed rate products and ensure some stability – all before lenders consider their options with their current product range. Already we’ve seen Nationwide, for example, pass on the rate increase to their clients on their tracker products. Having said that, it has been reported that the proportion of borrowers with variable mortgages has fallen to only 35% compared with 70% in 2001 – so the impact on consumers is expected to be minimal, which is positive news. For the second charge mortgage market, at the time of writing it is still unclear. Lenders have yet to communicate their approach to the rise. My expectation is that little will change in the short term on their rates, and their products will remain as competitive as they are now. Many of the second charge lenders have weathered similar storms and kept rates stable, and we anticipate the same will happen this time around. With Enterprise Finance’s broad coverage and understanding of the market, we can maintain access to the most competitive rates for your advisors and their clients. In fact, the rise in interest rates may even stimulate the demand for second charge mortgage products. As the cost of unsecured credit inevitably increases, clients with debts such as credit cards and car finance may find their monthly payments are about to increase. 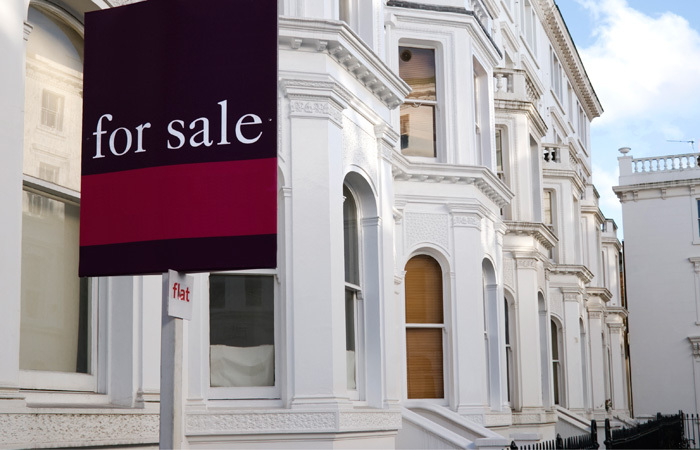 The Buy-to-Let mortgage market is already under pressure in London and the South East due to stamp duty rises and higher tax, so we’re expecting this raise to have little impact on this geographical area. Regions that are performing much stronger – such as the Midlands and Scotland – are still expected to see growth in the property market, which is very encouraging and again shouldn’t mean the Bank Rate rise has much of an impact. Meanwhile, trade body UK Finance published refinancing figures for the first time, revealing that £53.7bn of mortgage debt was refinanced through product transfers in the first quarter of 2018. Of the 390,000 homeowners who switched their mortgage product, 203,200 took advice – and the remaining 187,000 transfers (with a total value of £24.2bn) were execution only. This means the product transfer market is potentially worth £200bn – which again might have surprised a few people. Many of these product transfers are likely to have been arranged directly between the lender and the client. This represents an opportunity for brokers and intermediaries in the second charge mortgage market, as clients are unlikely to have been asked if they need additional funds. Client circumstances are likely to have changed, but the product transfer process means they couldn’t apply for additional finance – so the opportunity exists to support these clients even though they might be tied into new fixed term products. We are committed to supporting brokers and advisors with education on the specialist lending sector, and on 11th September my Head of Sales, Paul Huxter, will present a webinar on Complex Buy-to-Let mortgages through the Society of Mortgage Professionals. Last month I was asked to submit an article to FT Adviser that they will use on their CPD platform – to offer advice to brokers with landlord clients about the recent changes to HMO regulations. This article is now live and free to access, and those with an FT Advisor CPD account can log in and collect CPD points if they successfully answer the associated questions.